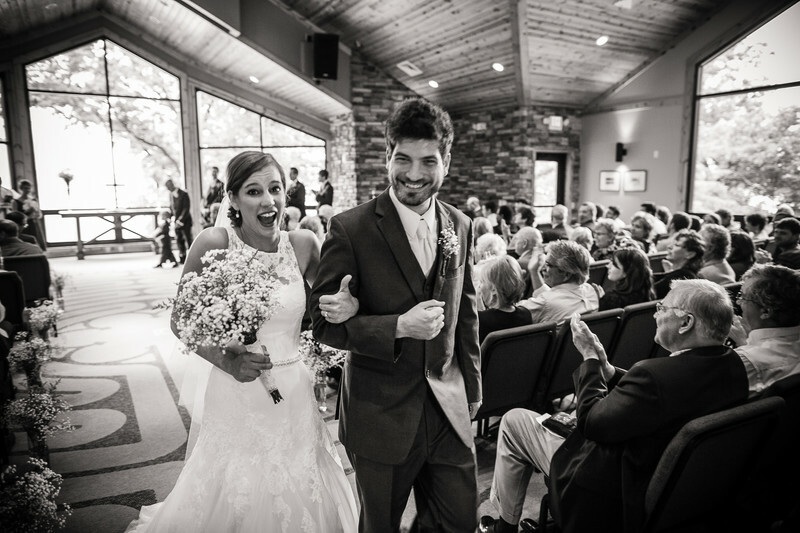 The bride and groom during the recessional exiting the church after their wedding ceremony. I was quick to capture the bride giving me the thumbs up. I love the happy feeling of this freshly married couple. their wedding was on the south side of Green Lake. 1/100; f/2.2; ISO 800; 24.0 mm.